Regardless of what type of wedding you’re dreaming of, from gentle lapping waves as your backdrop to tropical flora surrounding you and your guests, Saman Villas is the ideal location for a relaxed and romantic ceremony. If you’re hoping for an intimate and beautiful wedding, look no further than Saman Villas. 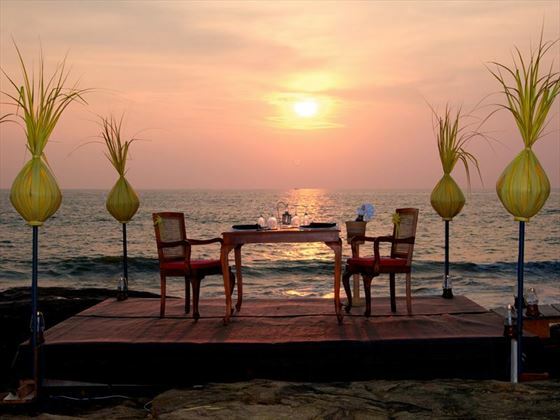 Nestled along the stunning southern coast of Sri Lanka, the views of the sparkling Indian Ocean and sugary sand beach is the perfect backdrop for a destination wedding. Classic Wedding – This package is ideal for those hoping for beauty and elegance. Say your vows under a gorgeous canopy set on four carved timber columns, which are decorated on the sides with your choice of chic drapes, and held with picturesque floral arrangements. 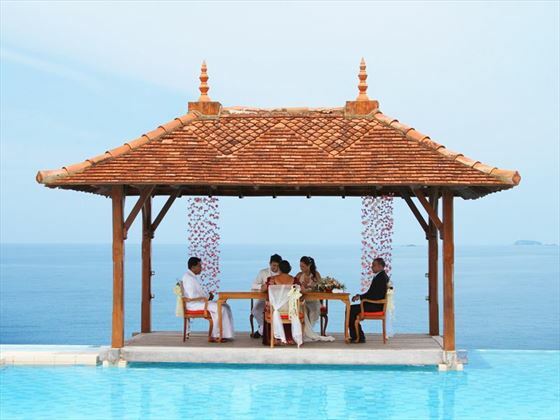 The views of the Indian Ocean add a wonderfully romantic touch, and your ceremony can be done with either your own vows, or traditional vows by a Kapuwa – a ceremonial wedding officiate. 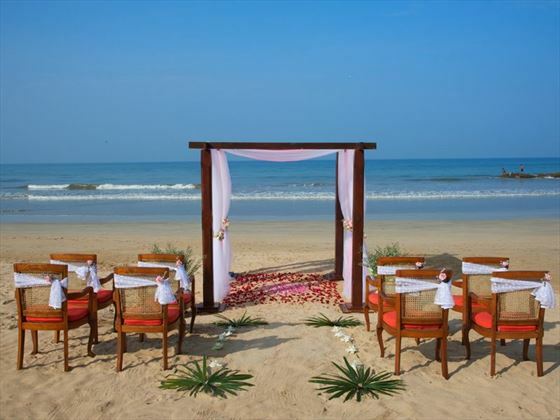 Premier & Luxury Weddings – For an even more indulgent wedding, this package includes your pretty canopy being set on the pristine sands of Bentota beach. With an abundance of vibrant flowers and the soft sound of waves lapping on the shore, this is a truly idyllic setting for saying “I do”. 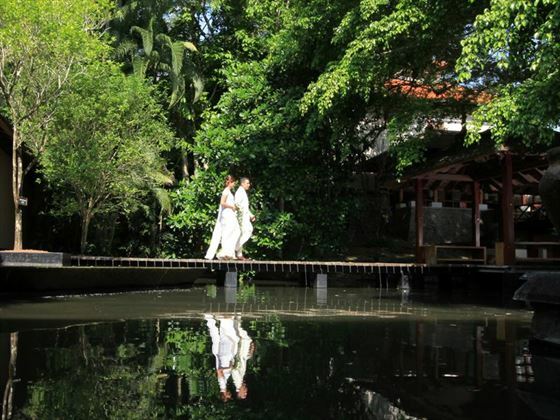 You can choose between saying your own personal vows, having a religious ceremony, or a traditional Sri Lanka wedding complete with dancers and drummers with vows by a Kapuwa.